A few weeks ago, we surprised my daughter with a birthday cake for breakfast – I decided a mixed berry tart would be most appropriate. My challenge was to create a full bodied pastry cream without the use of flour, cornstarch and white sugar – my solution; arrowroot powder. Pastry cream, or Creme Patissiere, is a staple in baking – used for cream puffs, Eclairs, Napoleons, and other decadent pastries. Pastry cream is basically a custard made out of milk and egg yolks thickened with all purpose flour and/or cornstarch – neither of which I wanted to use. Arrowroot is an easy to digest starch (though not allowed on the SCD diet) used to thicken sauces and in baking. It is a root of a native South American plant. It is not a refined product but the dried and powdered root. Arrowroot thickens at a lower temperature than flour. To use in sauces first mix with a cold liquid then add to the hot fluid and heat just until thickens – overheating will destroy its thickening properties. Arrowroot may not work as well as flour and cornstarch with dairy based sauces (non-dairy sauces are fine) but considering the tart was gone in about 10 minutes, I don’t think anyone noticed. Arrowroot has a few advantages over cornstarch. It works better with acidic ingredients and can be frozen – cornstarch thickened foods do not freeze well. In addition to sauces, I have been using arrowroot powder in many of my almond flour baking recipes to give it the flakiness you can’t get with almond flour alone. The gluten free tart shell I made for this berry tart used a mixture of almond flour, arrowroot powder, butter, and maple sugar – it needs just a few more tweaks before I post it. I would also like to test a non-dairy version of the pastry cream using coconut milk – please share your tips if you’ve tried it. Adapted from David Lebovitz’s Pastry Cream recipe in “Ready for Dessert.” For tips on using arrowroot as the thickener I referenced “Baking with Agave” by Ania Catalano. 1. To prepare the pastry cream, bring 1 1/2 cups milk to a boil in a saucepan. In a bowl whisk the arrowroot powder and salt with the remaining 1/2 cup milk until dissolved and set aside. 2. Lower the heat and add the maple syrup to the milk. 3. In a small bowl whisk the egg yolks then add some of the hot milk to the bowl to temper the eggs and pour the egg mixture into the saucepan – continue whisking to combine. 4. Add the arrowroot/milk mixture to the pan and stir constantly until it thickens and starts to simmer. 5. Remove from the heat, whisk in the butter until melted and vanilla extract and pour into a bowl. Cover with parchment paper or plastic wrap, let cool to room temperature and refrigerate until cold. 6. To assemble tart, pour cooled pastry cream into a prebaked tart shell. Top with berries and brush apricot preserves to give it a shine and serve. * If you are doing the classic version add 6 tablespoons flour to 2 cups milk in a pan and whisk constantly until mixture is thick and continue with recipe. 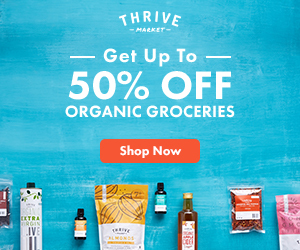 This post is linked to Fresh Bites Friday | Real Food Whole Health and Food Renegade | Fight Back Friday. Wow Lisa ~ this looks divine! Have you perfected the crust yet? I have been playing around with arrowroot and coconut flour quite a bit for cookies and muffins! It’s a good combo. I haven’t been baking too many tarts and pies lately. It’s been really busy lately so I rely on fruit crisps for desserts – it’s so forgiving and flexible. I wish I could take a full day off to test this crust. It really didn’t need too much tweaking. I’ll let you know when I have something worthy to share. MMMMMMMMM,..What a delectable tasty looking fruit tarte! I cook & bake often gf but I only used arrowroot a few times & I am still experimenting! Thanks for your useful tips etc! Sophie recently posted..A Happy Thanksgiving! Cranberry raspberry black berry strawberry blueberry YUMMMMYYYYY! Did you ever make those tweaks to this tart crust? I’m struggling to make a gluten free crust that doesn’t just crumble completely, and this one looks amazing. If you could share the recipe for this version, I could use it as a starting point and tweak it from there. If you would consider that, please email it to me! Thanks! I had to eliminate nuts and eggs to my diet temporarily so have not been able to experiment with much baking. But the way I usually approach gluten free crusts is to start with a basic almond flour recipe, replace about 30% with arrowroot starch and/or tapioca starch and for a tart crust I would add an egg yolk. And if you can, definitely use butter, but coconut oil could work.